Money can’t buy happiness, but it can buy a giant bird and lots of things to stuff inside of it. According to USA Today, the average cost of necessities for a Thanksgiving dinner for 10 (including leftovers) in 2018 is $48.90, a 22-cent reduction in price from this time last year. 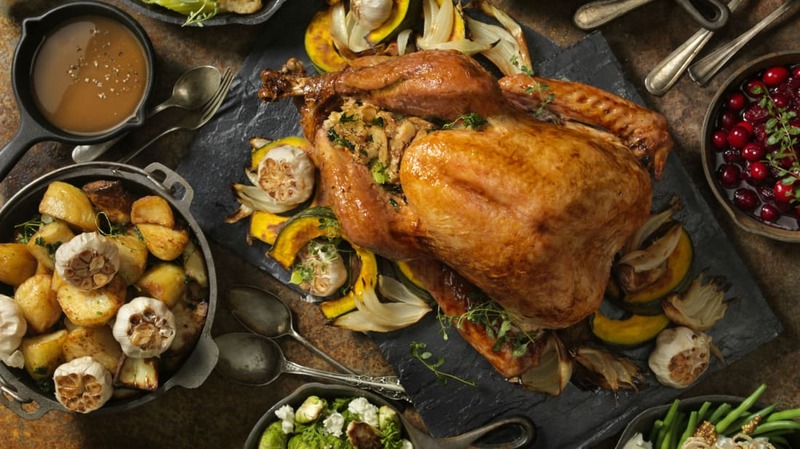 The statistic comes from data collected by the American Farm Bureau Association and includes a 16-pound turkey (average cost $21.71), a 14-ounce package of stuffing ($2.87), three pounds of sweet potatoes ($3.39), a dozen rolls ($2.25), 12 ounces of cranberries ($2.65), and other ingredients. How does that compare to having dinner prepared for you via a delivery or catering service? Clearly, doing the work yourself is cheaper. The Farm Bureau estimates the cost of having a Thanksgiving spread outsourced would increase by 60 percent, with the turkey going from $1.36 a pound to $2 a pound.